Rose Royce -- the Los Angeles-based group comprised of Henry Garner (drums), Terral "Terry" Santiel (congas), Lequeint "Duke" Jobe (bass), Michael Moore (saxophone), Rose Norwalt (lead vocals), Kenny Copeland (trumpet, lead vocals), Kenji Brown (guitar, lead vocals), Freddie Dunn (trumpet), and Michael Nash (keyboards) -- was actually formed by Copeland and Garner. Both were preparing for graduation from high school, and contemplating their careers. Joined by Dunn and Moore, the two decided to go the route of the music business under the name Total Concept Unlimited (and later as Magic Wand). They auditioned for Edwin Starr, and he hired them as his backup band. The group's association with Starr enabled them to interact with numerous music industry personalities. One in particular was Motown producer Norman Whitfield. Whitfield gradually became associated with the group by hiring them for recording sessions; the group also worked with Yvonne Fair, the Undisputed Truth, and the Temptations through Whitfield's influence. After a couple of years of seasoning, the group began production on their debut album under Whitfield's supervision. Also during this time, MCA Records was seeking an artist for the soundtrack to the movie Car Wash. Whitfield convinced executives that the band was more than competent for the job. So the material that Whitfield had assembled for the group's debut album became the soundtrack's material. The movie Car Wash and the soundtrack were big hits, and they also propelled the group, now known as Rose Royce, into national notoriety. Released in late 1976, the soundtrack featured three Billboard R&B Top Ten singles: "Car Wash," "I Wanna Get Next to You," and "I'm Going Down." The former was also a number one single on the Billboard pop charts. To offset any negative rhetoric regarding their legitimacy, the group released its follow-up album, Rose Royce II: In Full Bloom, and bloom it did. The group returned to the Top Ten with "Do Your Dance" and "Ooh Boy," silencing all critics. 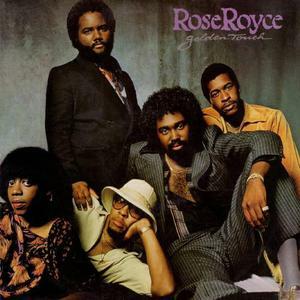 In 1978, they released their third album, entitled Rose Royce III: Strikes Again!, and it featued "I'm in Love (And I Love the Feeling)" and "Love Don't Live Here Anymore." Both singles cracked the Billboard R&B Top Five.